Oh my goodness! I can't believe this is officially The Homesteading Apartment's one year anniversary! It seems as if it was just yesterday that the summer sun was beating down and I was waiting for the cold weather to come. Then the next thing I knew Christmas was here and now we're approaching Valentine's Day!! The last year has been one of learning, growth and tons of faith stretching (: I'm a very impatient gal and when I see a vision I tend to want things to change NOW. A season of waiting isn't something that has been cherished in the past, but this last year has given me a greater appreciation for these desert times. In the desert thankfulness and gratitude abound. The little things are reflected in a different light...a light that grows faith and you begin to see God working more clearly. So this year I declare it to be The Year of Expectations. I expect the miracles to come...I expect my life to change...I expect my dreams to come true and I expect to see God work in amazing ways. In the past I've been afraid to expect great things because I didn't want to be disappointed. Now I'm beginning to realize that expectation allows openness and possibilities to flourish. So as I wait with great expectation, I am content and thankful. My first step in doing this is to launch a couple of online shops. Several years ago I opened a brick and mortar store, but never really took things online fully. This year is the year to make it happen and so I'm introducing Natural esSCENTials and Little esSCENTials. Both shops will grow as more things are added. If you have a chance I hope you stop by. 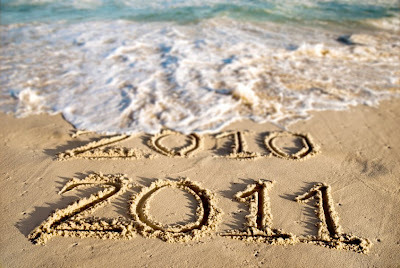 So what is your focus for this year of 2011? Are you in a season of waiting? In what ways are you stretching your faith muscle and how are you faring along the way?